Demetria is using Smore newsletters to spread the word online.
. His father had many talents and and was very wealthy. After his father passed he decided to go travel in search of wisdom, and devoted his inheritance to this purpose, amounting to one hundred talents. After several years of traveling, Democritus returned to Abdera, with no means of subsistence. His brother Damosis took him in. He spent his life in making experiments upon natural bodies. He was known as the laughing photographer. He studied a lot of math such as : astronomy and Pre-Socratic philosophy. 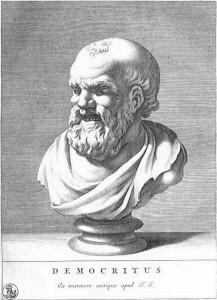 Democritus discovered the ideas of atoms. He asked this question: If you break a piece of matter in half, and then break it in half again, how many breaks will you have to make before you can break it no further? 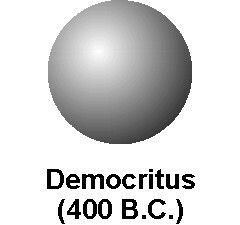 Democritus thought that it ended at some point, a smallest possible bit of matter. He called these basic matter particles, atoms. Atoms are made of a single material formed in different shapes and sizes. They are always moving and join together.